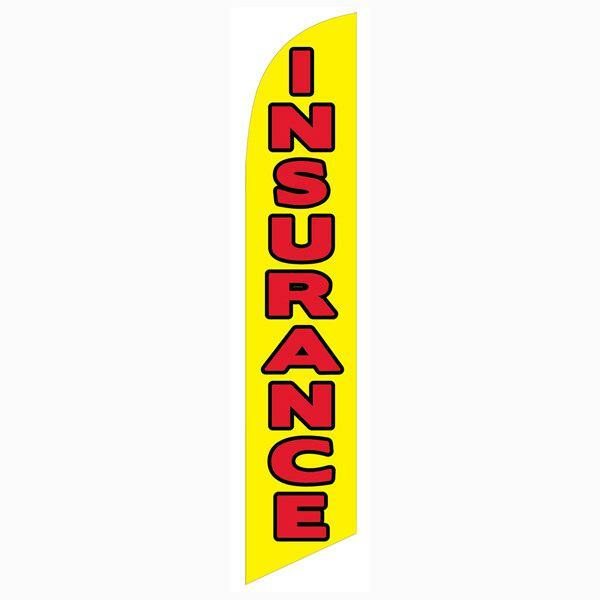 Insurance Feather Flags - Many designs to choose from! Auto and health insurance is now mandatory for everyone within the United States. 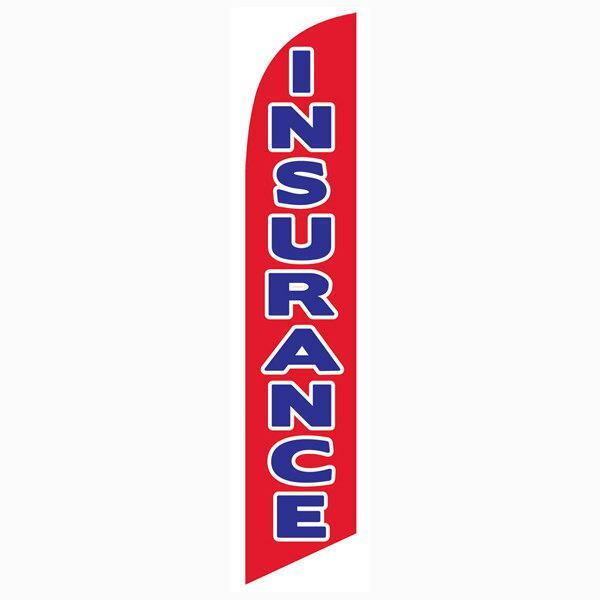 Due to this law, thousands of Insurance brokers have popped up all over the place. This means more competition for your business! 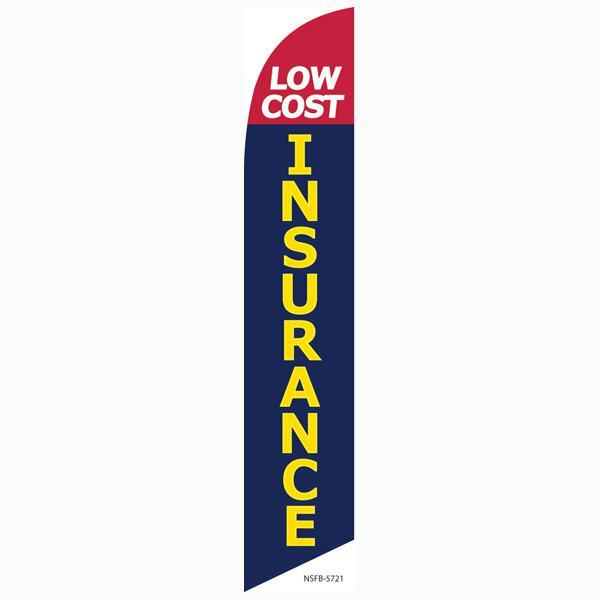 On tested way to stand out from your neighbor or competitor is to use our outdoor promotional insurance feather flags. Our banner style flags are always open for your message to be readable at all times. Wind or no wind, your message will be shown! 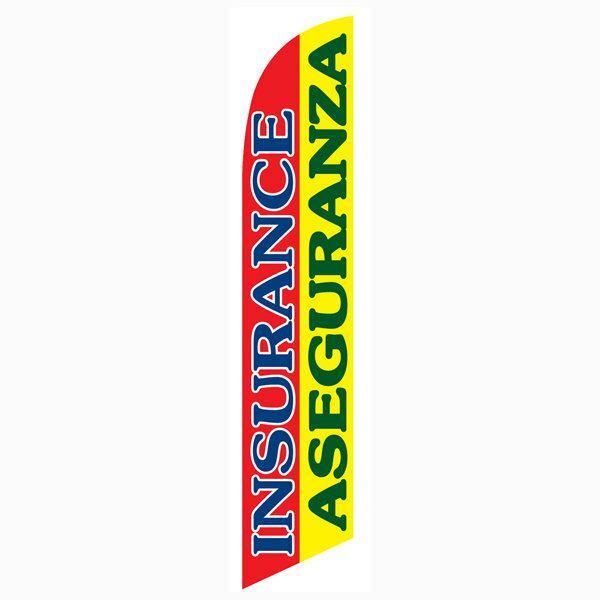 Our stock insurance feather flags come with low cost pole kits and ground spike. The flag kit is made for long term outdoor use. You do not need to worry about the flutter flag wearing or tearing by long term outdoor use. Replacement stock swooper flags are only $14.99! 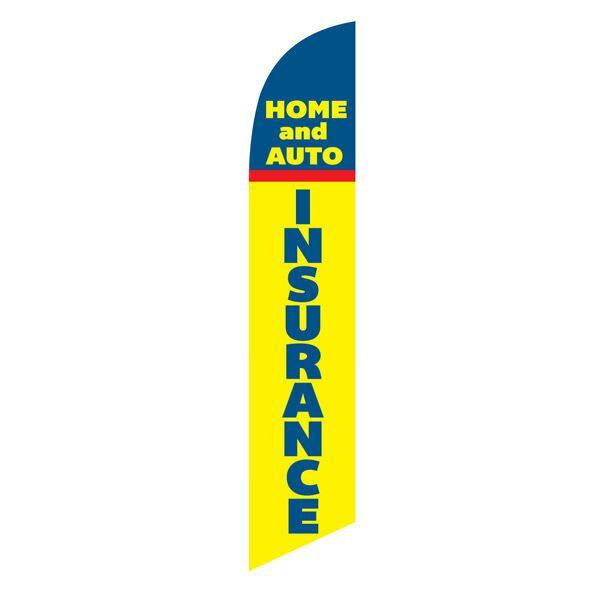 Lots of franchise clients (such as Farmers Insurance) prefer to have their own logo, name, and contact number. 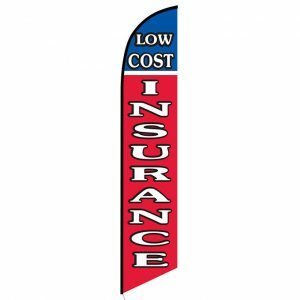 If you are looking for a custom flag, we offer both single-sided and double-sided custom feather flags. Click here to visit our custom products page.